Michael Lawson from CUbroadcast is onsite at the CUES’ CEO/Executive Team Network™ in Nashville and has published a great recap video of the CUES Next Top Credit Union Exec finalist presentations. 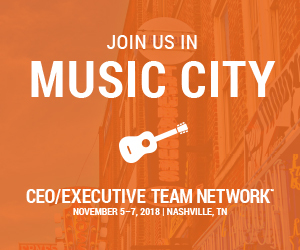 Final presentations for the 2018 CUES Next Top Credit Union Exec challenge are set for Tuesday, November 6, during CUES’ CEO/Executive Team Network™ in Nashville. It’s been a blast to watch your videos and ready your blogs thus far! I was there a year ago and felt the stress of waiting to hear back if I was in the Final Five. It’s been almost a year since CETNET 2017 in Las Vegas and my journey post CUES Next Top Credit Union Exec competition rages on. The judges for the 2018 CUES Next Top Credit Union Exec competition have been announced.